(Describer) Chapter 4 – Diversification 2: South of the Border. (male) Once you get used to something, like the dark-eyed junco in the Appalachians, you come to think of that as a junco. There are other types of juncos. 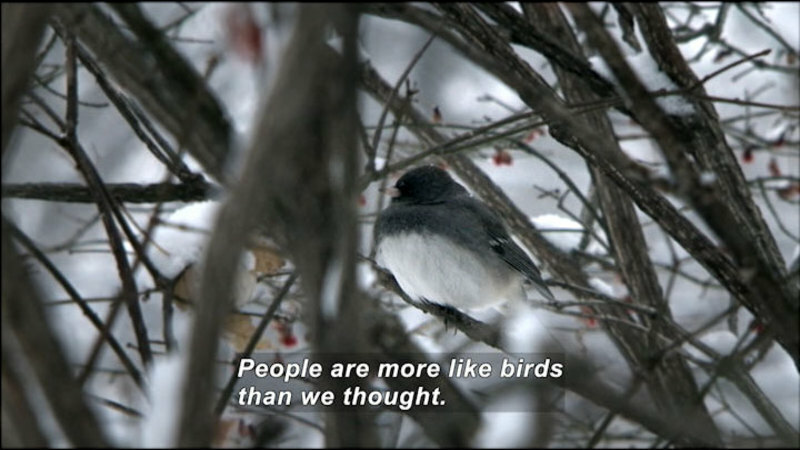 There's juncos that have other characteristics in different parts of the world. When I first saw that junco in the highlands of Guatemala, I guess I was pretty excited. That eye is so yellow. (Describer) He holds a bird. I mean, I don't know if I'm comfortable. (Describer) Another man joins him. Gosh. Look at the belly too. (male) That yellow eye just was unbelievable. From studying dark-eyed juncos to seeing one with an eye that seemed on fire was a shock. Oh, man, look at that. What the [bleep]. Suddenly, I had this junco in hand that was a junco, but... it's eye looked like it was piercing my own. It was pretty striking to me. (Describer) The irises are dark yellow. 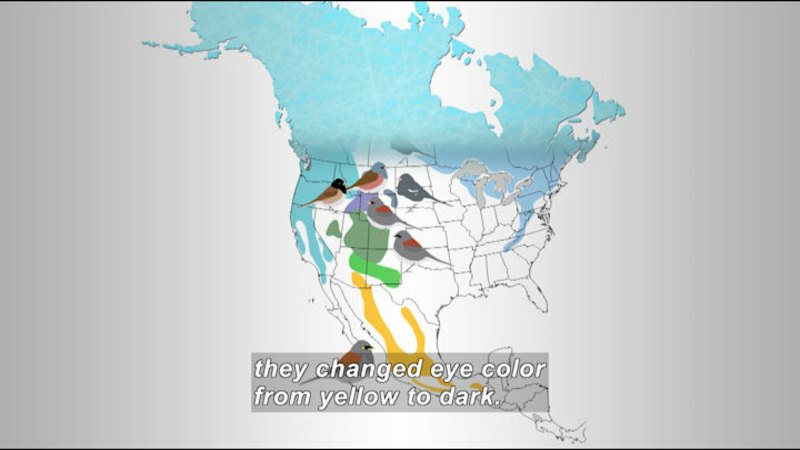 (female narrator) Yellow-eyed juncos have historically been classified as a single species that inhabits high-elevation forests of Mexico and Central America, as well as small portions of the southwestern U.S.
(Describer) ...shown on a map with a Volcano Junco. But a closer look within the yellow-eyed juncos reveals at least three groups that have distinct geographic ranges and subtle, but clear differences in feather coloration and physical traits. The mountaintops inhabited by the juncos in Baja and Guatemala are small and isolated ranges. Yellow-eyed juncos don't migrate, leading researchers to hypothesize that these groups might be heading off on their own evolutionary trajectories, perhaps even representing different species. Up until now, there was little information available to evaluate just how differentiated these groups might be. Recently, members of the Ketterson Lab at Indiana University joined Doctor Borja Milá from Spain's National Science Museum on a field expedition to study yellow-eyed juncos across their range. (Describer) A truck drives over a green mountain. The first destination was the highlands of Guatemala, where intact forests are few and far between. (Describer) Rotting wood posts are lined up in a run-down fence. Centuries of farming and constant demand for firewood have nearly stripped the mountains bare. (Describer) A dirt road runs between a few buildings. One exception is a forest reserve near the indigenous community of Todos Santos Chichim in the Cuchumatanes Mountains, where local residents retain the language, dress, and customs of their Mayan ancestors. (Describer) People wearing blue and pink gather in groups. Permission to enter the reserve is closely guarded by the village elders, which helps ensure the area will remain a safe haven for the diversity of flora and fauna found in this unique habitat. The reserve covers more than 15,000 acres, and it includes the area's highest mountains at over 12,000 feet above sea level. (male) This area of the highland of Guatemala is under very serious threat of deforestation. The indigenous communities that live here have very few resources. (Describer) A woman and girl walk toward a village. (Describer) A child waves from a balcony. into their communities and have wood resources. It's a very small area and it's under very strong threat, together with other endemics found here like the Goldman's warbler. (Describer) A black and yellow bird. There's also very isolated populations of the broad-tailed hummingbird. There's a very differentiated pine siskin here. So a very important area with potentially very differentiated set of taxa. That increases the conservation value of this area very much. (Describer) He holds out the junco. We have here a Guatemala junco. It's considered to be a race of the yellow-eyed junco. (Describer) He takes photos of it. But there's several phenotypic differences between this bird and the other yellow-eyed juncos in Chiapas and the rest of Mexico and in Baja, California. It's much more olive-gray, duskier gray on the head. The back has this olive wash on the brown. So it's not as reddish. It has much less white on the tail feathers compared to northern juncos, like the dark-eyed and other races. We come here, set up nets, and then playback the male's song to attract the birds. We capture them. Once we have it in the hand, we take measurements-- morphological measurements of the wing, the bill, the tail, the tarsus. We take a blood sample for the genetic analyses. Then we put an aluminum band that's uniquely numbered, and then we release them. (Describer) One flies away. At night, a fire is lit in a camp stove. (narrator) With just three days to spend in Guatemala, time was of the essence. (Describer) A junco hops between rocks. Luckily, the birds and the weather both cooperated, allowing the team to collect the data they needed before moving on. (Describer) Clouds roll through the mountains. Later, lightning flashes ahead as Mila drives the group. through the Isthmus of Tehuantepec, a hot, moist, lowland tropical valley that separates the mountaintop ranges of the Guatemalan and Mexican juncos. (Describer) A camera moves down a crowded city street. San Cristóbal is a city where the old meets the new. (Describer) Pigeons crowd in a plaza. As one of Mexico's best-preserved Spanish Colonial towns, picturesque historical architecture and open-air markets fuel a vibrant tourist economy. (Describer) Clothes hang in market stalls. A pickup truck goes through a neighborhood. But just outside the old city, the modern challenges of urban sprawl, pollution, deforestation, and mining threaten the abundance of the region's valuable natural resources. Fortunately, there's a growing movement to promote sustainable forestry and protect biodiversity. Among the beneficiaries of such efforts is the yellow-eyed junco. (Describer) A van is driven to a green area, and the team gets out with a few small dogs. In the mountains just outside San Cristóbal, Noé Beltrán, a local forester, has established a private ecological park. The goal of the park is to promote the coexistence of nature and sustainable resource extraction. For every tree that is cut, ten are planted. (Describer) Beltran, with subtitles, to Mila: “The reserve is 146 hectares in size. It's a big piece of land for this area. (Describer) "The land around San Cristobal de las Casas has been very much reduced because the population has increased.” Three people walk over a wooden bridge that crosses a river. (narrator) This intact piece of highland forest provided a perfect site to collect samples and song recordings from the Mexican yellow-eyed junco in Chiapas. 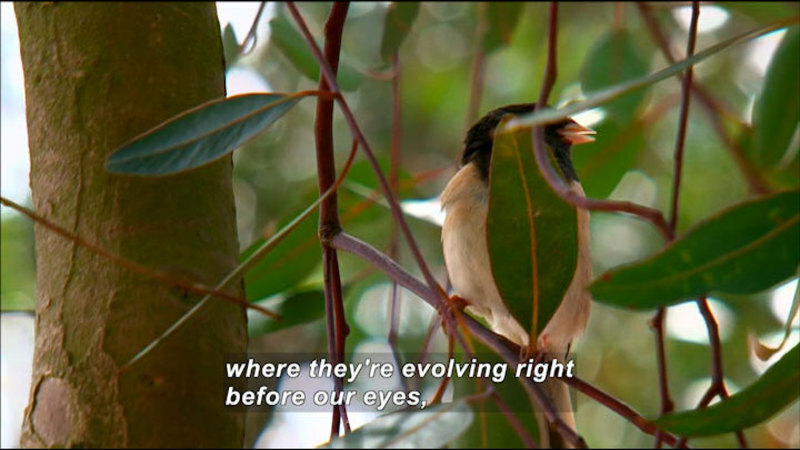 Birds use their songs to attract mates and announce territorial ownership to rivals. If songs from different populations are quite distinct, then the birds may be unlikely to recognize one another as the same species. (Describer) A satellite map of the region is shown. The Mexican yellow-eyed junco's geographic range is large. So it was important to collect data from an additional race within this group. It was a two-day drive to Mexico City, where the team connected with a local ornithologist, Adan Oliveras. Adan took the team to a volcanic mountain called El Ajusco just outside the city. He explained that this important conservation area used to be pristine and peaceful. But recent years have seen increases in recreation and pollution from Mexico City's growing population. (Describer) A junco stands on an old tire. The forests of oak, pine, and fir on these high volcanoes, provide habitat for varieties of birds, small mammals, and reptiles unique to this area. Endemic populations are those plants and animals found nowhere else in the world. They typically develop where geographic isolation allows them to diverge without gene flow from neighboring populations. Endemism is common on island chains, such as Hawaii and the Galápagos. But it also occurs in high-elevation forests, like those found on El Ajusco in Chiapas and in Guatemala, where unique types of yellow-eyed juncos are found. Scientists don't always agree on whether or not local endemic groups should be called separate species. One of the most widely-accepted definitions, known as the "biological species concept," defines species based on whether or not they are able to interbreed. But for populations found in geographically isolated locations, it is impossible to know whether they would interbreed in nature if given the chance. In these situations, biologists must define species based on how genetically and physically distinct they are from one another. Whether a local population is classified as a unique species can be a critical distinction. It can even make the difference between receiving protection and habitat conservation versus being overlooked and facing distinction. (Describer) ...like in South Dakota, Nevada, Virginia, Wyoming and Guatemala. that are separated from one another by, what you might consider, oceans of desert. One of the ideas is that in these patches of forest is where they've diversified. So they've become isolated from other populations. And in this sort of splendid isolation, you might call it, they have diverged from their brothers and sisters and have gone off in different evolutionary directions. (Describer) The map is shown again. (narrator) Arguably, the most impressive sky island on the continent is found on the southern tip of the Baja peninsula. Here a mountain range rises from the desert to nearly 7,000 feet, just 20 miles inland from the coast. (Describer) Cacti stand before mountain ridges. While nearly all of Baja is extremely dry, the highest elevations trap enough moisture to allow a tiny patch of forest to exist. (Describer) Team members assemble supplies at the end of a dirt road. Getting up into this roadless wilderness wouldn't be easy. So the team employed the assistance of local guides. (Describer) He wears a camera and binoculars around his neck. to the top of the very highest part of the Sierra to the pine forest and where the juncos are and many other endemics. Now we're in a tropical deciduous forest. We'll climb through oak. We'll get onto the pine oak at around 1,000 meters. (Describer) They hike up a trail between rocks and old trees. 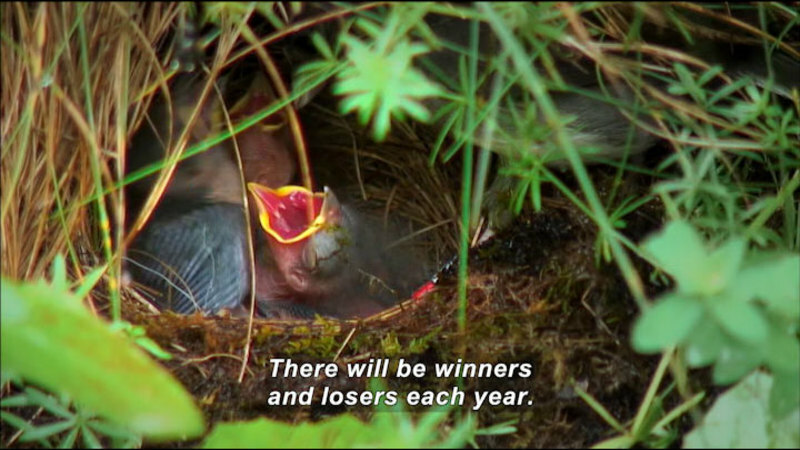 It's gonna be a beautiful climb. But it's gonna be a seven-hour climb. (Describer) A guide sits on a horse. These are local people. These are their mules for their work. They have extensive cattle around here. (Describer) The mules carry packs on their backs. When someone wants to go up to the Sierra, 'cause there's no roads, then you can hire their mules. They act as guides. So it's typically people that are interested in nature, 'cause it's not a touristy area. Nobody gets out here. For junco work, this is the most remote that I've ever been. Every other site that we've worked, we've been able to drive fairly close to the location. I feel like I'm in pretty good shape. It was tough-- uphill for 6 1/2 hours. Every foot strike, your feet slip a little. That's fine the first hour. The last hour was killing me-- one foot in front of the other, just try and make it up. I was pretty darn exhausted. (Describer) He sits, rubbing his feet. A forest surrounds a field. besides habituation. We call it insular tameness. We see it in many different animals. In island populations, they colonize an area and escape a lot the predators that might have been there. They become really tame. That may be going on here. In general, at first glance, the Baird's junco here looks like any of the other yellow-eyeds we might see. But once we got some in our binoculars, in the hand, and looked closer, there's a lot of striking differences. One thing that struck me was how small they were. Also the whole color, appearance, is much paler, almost like an overexposed photograph looks sort of washed out. (Milá) Really the plumage of Baird's junco conforms to what's called Gloger's Rule, which postulates that in drier habitats, birds have lighter, paler, colors and plumage and in the north, in moister habitats, the darker and more deep colors. 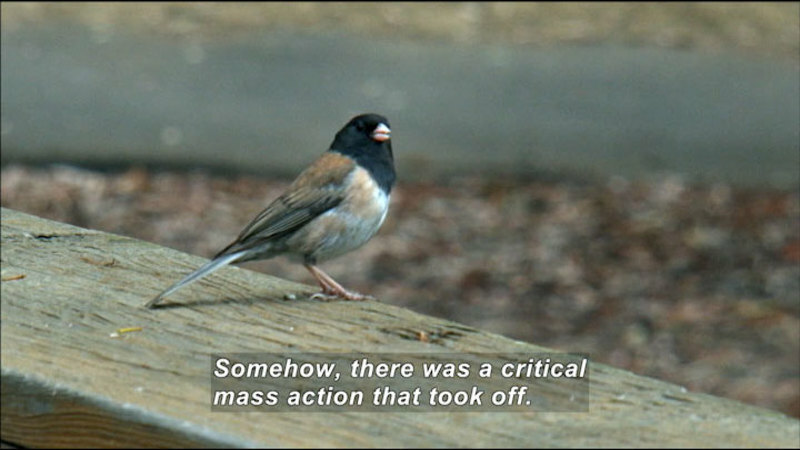 So this actually applies to this form of junco. (Describer) Its head is a light blue-grey. (male) This is an endemic form of the American robin that only occurs in this mountain range. (Describer) McCormack, who holds another. As you can see, similar to other species we're seeing, the bird's very washed-out in color. On the front, most people think of the red robin-- they have a very red breast. Here is just almost a pale yellow. When people think of robins, even the species name indicates it-- Turdus migratorius--is that it is a migratory species. However, here in the Sierra de la Laguna it has become sedentary. (Describer) Small sacks hang on a line. The team studies juncos and takes notes. (narrator) While the junco crew focused on capturing and processing juncos and recording their songs, a team of Mexican government biologists, led by Ricardo Rodriguez Estrella, was busy collecting data from many other birds found on the mountain. Meanwhile, the cowboys made sure everyone was well-fed and watered, and that coffee, vaquero style, was always at the ready. Spending time in the field with international collaborators, in such a beautiful and remote setting, was a special opportunity for the biologists, not only to collect data, but also to simply make observations and have discussions that would lead to future research questions. Armed with new DNA samples, Mila and McCormack were ready to test the question of just how closely related the different yellow-eyed junco groups might be. Prior findings from the dark-eyed juncos across the U.S. and Canada had revealed that despite striking differences in plumage coloration, these groups were extremely close genetically, and they're able to interbreed in nature. In comparison, plumage differences among the yellow-eyed junco groups are subtle. 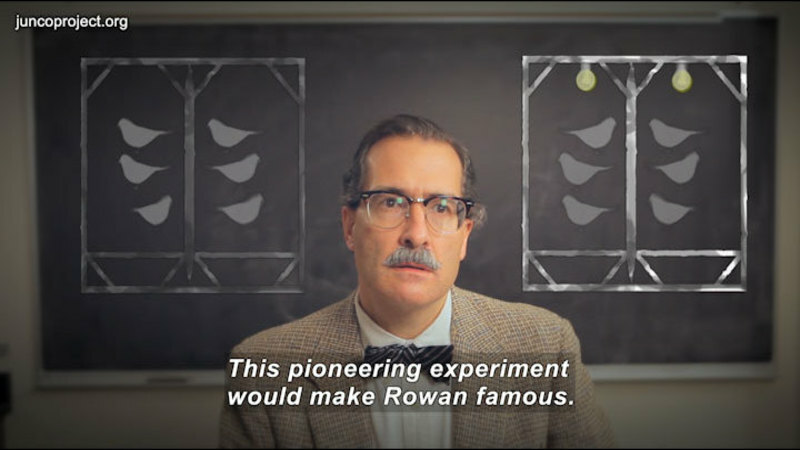 Yet, the genetic data revealed that, in fact, these groups were highly differentiated genetically. Both the Guatemala junco and the Baja junco proved to be genetically distinct from the rest of the yellow-eyed juncos in mainland Mexico. And the amount of genetic sequence differentiation indicates that they have been on their own evolutionary trajectories since they diverged from a common ancestor roughly 500,000 years ago. The amount of genetic differentiation, the discreet physical differences, and geographic isolation all indicate that both the Baja junco and the Guatemala junco should be considered separate and unique junco species. The discovery that these juncos should be classified as unique species will have important implications for their future protection. And also for the many other endemic plants and animals found in their respective habitats. (Describer) An orange sky stretches behind a mountain. 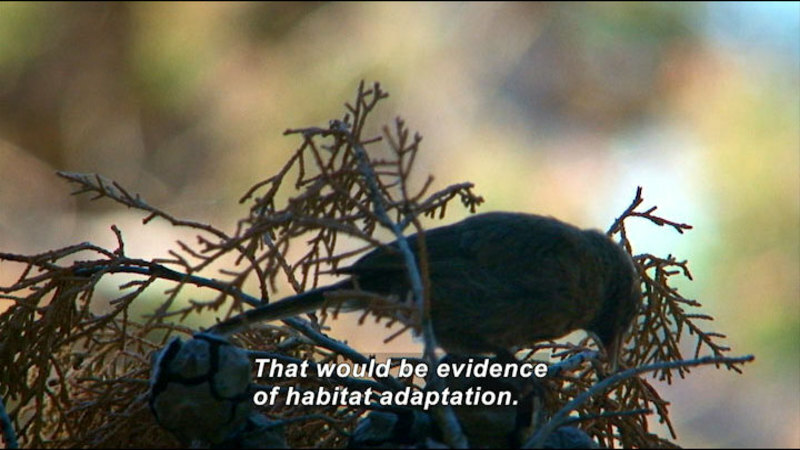 But there was still a missing piece of the junco's evolutionary history in Mexico. 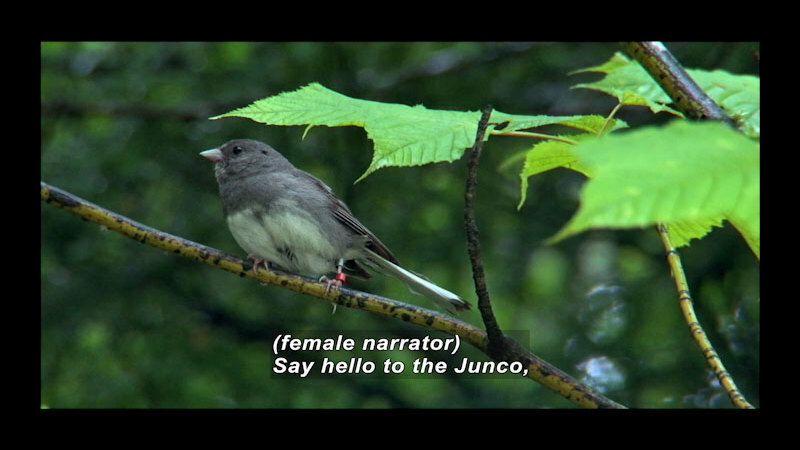 Still to be studied was the most mysterious, isolated, remote, and endangered junco of them all. Less familiar to residents of the US and Canada are several junco groups that inhabit the highlands of Mexico and Central America. 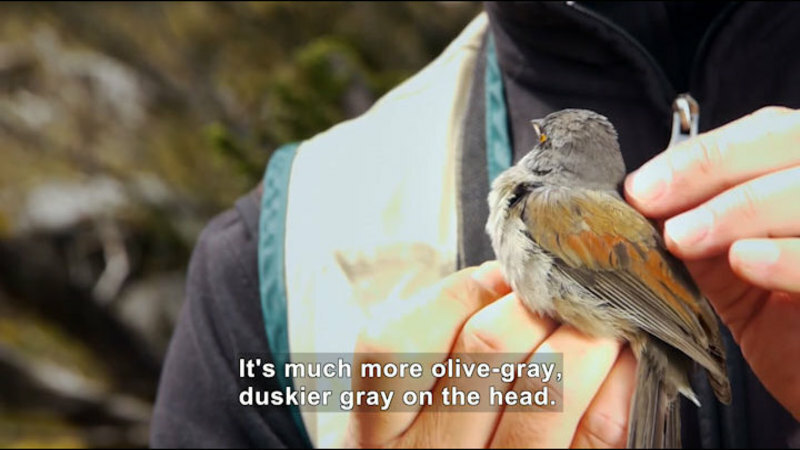 In this segment, researchers from around the world travel to remote high elevation habitats to study unique junco groups. They explore the concepts of endemism, geographic isolation, and the role of genetic data in classifying species. Part of Ordinary Extraordinary Junco (Chapter 4).